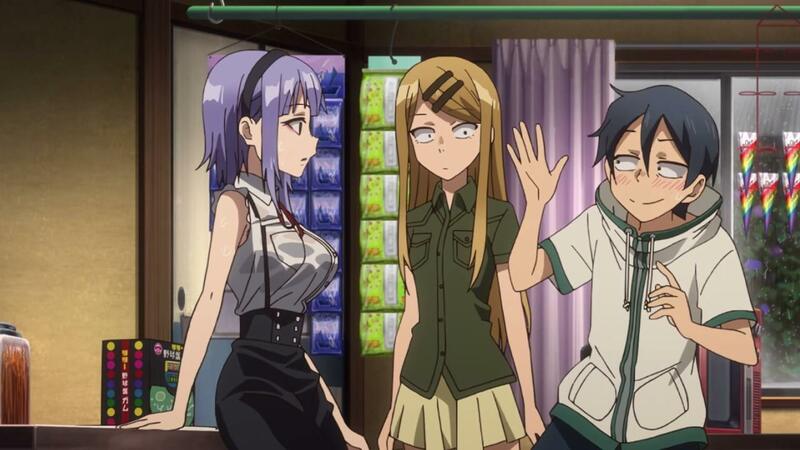 Hello and welcome back to Dagashi Kashi where Hotaru Shidare will show you why Japanese sweets and snacks are awesome. 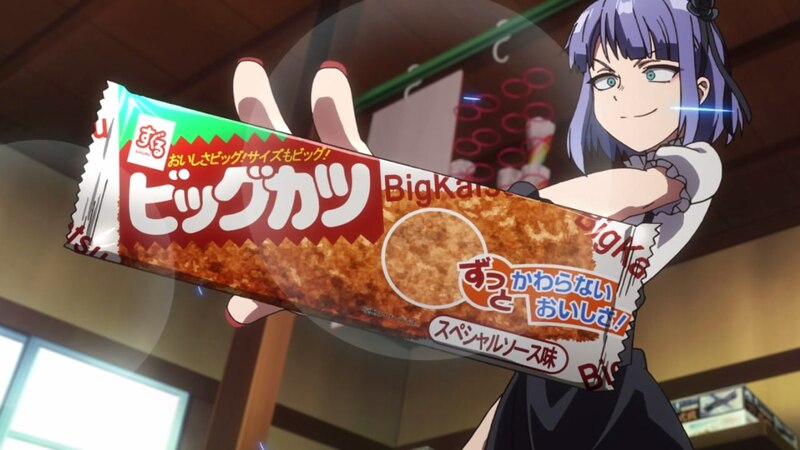 And as you can see, Hotaru brought a real-life snack called Big Katsu to Kokonotsu Shikada and the audience. So yeah, I’m glad that it’s back with a different studio handling the second season, hence the different look. 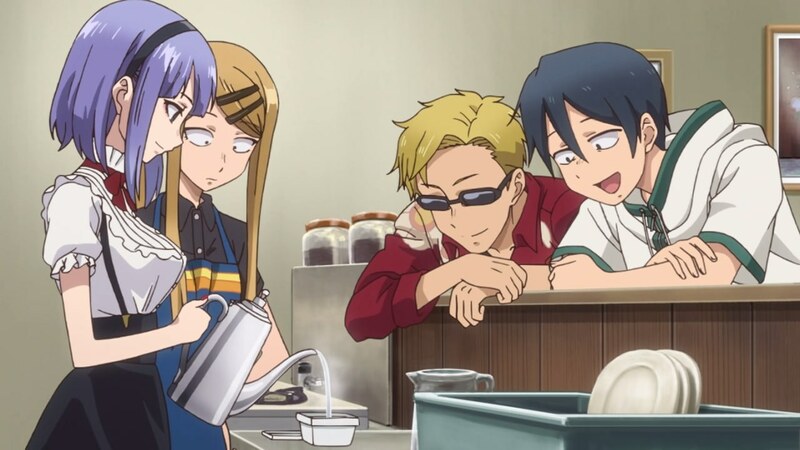 Unfortunately, Dagashi Kashi 2 will air 15-minute episodes every week so I’ve decided to blog 2 episodes to ease the trouble. Anyways, the gang is back and here’s Hotaru Shidare showing off another snack at the coffee shop. This time, she’s cooking a pasta. Well, a cup pasta as Hotaru shows it how it’s done towards Kokonotsu Shikada and the Endou siblings. Uh, would it be better if either Saya or Tou Endou will make one? But anyways, seems that the cup paste is finally cooked. 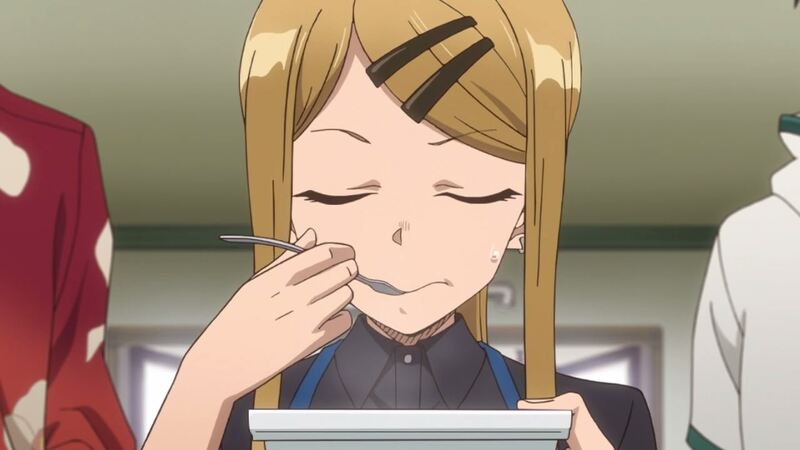 As for the taste, Saya-chan says that it’s like eating a real Peperoncino pasta. So yeah, it’s amazing that Japanese sweets and snacks are amazing! 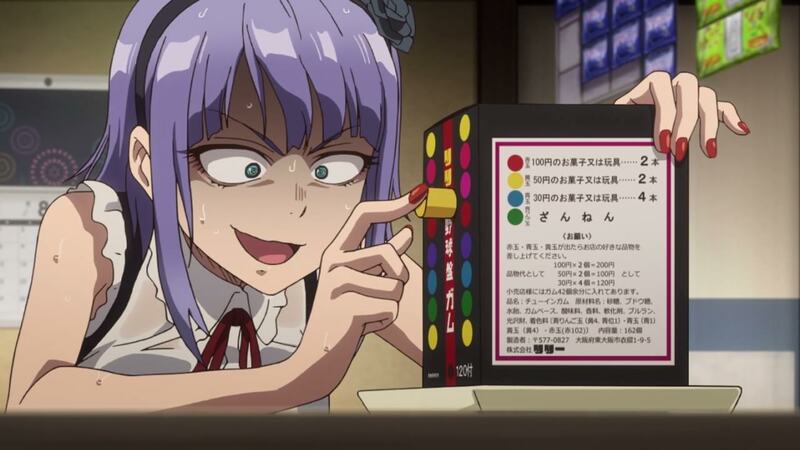 Now let’s move onto the second episode where Hotaru is playing a Baseball Board Game Gum. Basically, a lottery game. On the other hand though, how come Hotaru Shidare went to Coconuts’ place during a typhoon? I mean, she might get blown away! Not only that but Hotaru is so drenched that her black bra is showing through her blouse, something that Kokonotsu would like to see but he might get branded as a pervert. Well then, seems that Hotaru will have to take a hot bath or she might get a cold! And so, let’s end this episode as Hotaru Shidare and Saya Endou bathing at Kokonotsu’s house and they’ll stay there until the typhoon has been subsided.